The fact is, high-security grade 1 locks are the strongest locks available on the market according to the American National Standards Institute (ANSI). But even the best locks won’t work if they are not installed properly. We are Pros On Call and our first-rate commercial lock services are available to you 24-hours a day. And, we can install, repair, and maintain all types of grade 1 locks for your commercial property, large or small. So give us a call and get help at your convenience. We are Pros On Call and our first-rate commercial locksmith services are available to you 24-hours a day. And, we can install, repair, and maintain all types of grade 1 locks for your commercial property, large or small. Pros On Call Locksmiths implement professional maintenance and repair procedures in order to resolve minor and major security problems that affect high-security locks. Although various tools must be used to boost security during high-security lock maintenance and repair projects, we make the process of enhancing vulnerable locks simple by providing strategic advice and estimates. By working with us during a security project, you’ll keep all vulnerable spaces properly secured since we always use the latest locksmith equipment to effectively repair and modify defective security hardware. A high-security lock is designed with highly advanced components that are strong, durable, and efficient. These locks can keep vulnerable spaces properly secured because the hardware that secures the locking mechanism is tough to pick and extremely durable. Because our mobile locksmiths are prompt and reliable during high-security grade 1 lock installation projects, the process of equipping a space with a grade 1 lock while working with us is never challenging. As licensed, bonded, and insured locksmiths, we always take the proper steps to mount these locks securely so that costly security problems and inefficiencies don’t develop over time. During these projects, we provide honest advice so that business owners can select proper security solutions that suit specific financial needs and security concerns. We also implement cost-effective procedures so that managers can effectively boost security in multiple zones. 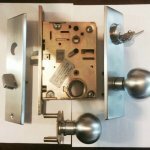 Our Locksmiths Handle High-Security Grade 1 Lock Repair Too! When high-security locks need to be repaired, our services are worth considering because we always stock our vehicles with the latest tools that are specifically designed for fast repair situations. Since vulnerable hardware can decrease security in risky spaces dramatically, we tackle high-security lock repair projects in a timely manner. Efficiency and reliability are very important to us, so our locksmiths always study the market so that proper steps can be taken in order to effectively repair modern and vintage locks by reputable brands. If a high-security lock can’t be repaired, our locksmiths can implement proper procedures to replace the defective equipment. Because we’re highly trained emergency locksmiths, we tackle these projects tactically by swapping damaged lock components with commercial-grade supplies that are durable and efficient. If you’re trying to renovate a space without decreasing security, you’ll benefit from working with us since our tools help us replace high-security locks in a timely manner. 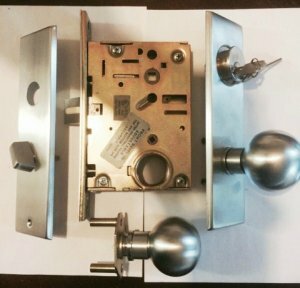 The bottom line is, whether you want to install or replace grade 1 mortise locks, high-security deadbolts, or any other types of locks, we are the company to call. All high-security locks have delicate components that interact with locking mechanisms. If these components are damaged during a maintenance task, the cylinders will develop operational problems. By seeking professional locksmith services during replacement, repair, and maintenance situations that involve high-security lock equipment, typical inefficiencies that can impact security won’t occur. Basically, when you choose our professional services from the start you can avoid costly problems later on. We service high-security grade 1 locks for any type of business property. Contact Pros On Call today to request our professional locksmith services. High-Security Grade 1 Locks https://prosoncall.com/locksmith/lock-services/high-security-grade-1-locks/ 4.3/5 based upon 6 reviews.